"It's a bird! It's a plane!" 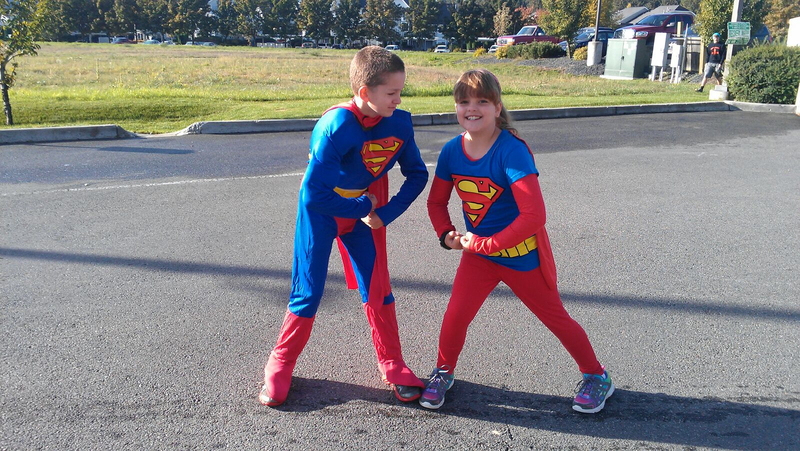 It's our incredible Children's Muscle Superman Deluxe Costume! When you order this item, you get the cape, muscular jumpsuit, belt, and boot tops. This style is licensed and showcases Superman's classic yellow, blue, and red uniform with his famous "S" symbol appearing on the chest. Your child will feel super strong in it as we've included a 3D muscle design on the torso and arms. Superman set the trend for comic books to be about superheroes, and he paved the way for all of the others to come. His incredible speed and strength make him indestructible as long as there's no Kryptonite around. All of these things make Superman an awesome superhero, and our children's deluxe Superman muscle costume is perfect for any fan! 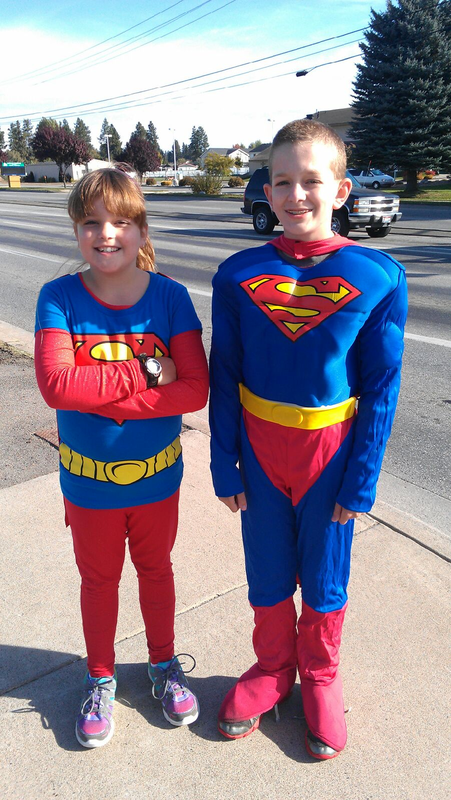 I love the fact that Halloween Adventures offers costumes in a wide variety of sizes instead of one size fits all. Because lets face it... we all know that one size does NOT always fit all. I'm positive that you will find the perfect costume, no matter what the occasion! From accessories to makeup to decorations, they have it all. You will find all the hottest and most popular costumes, in addition to costumes that you would have never imagined. From patriotic to movie characters, to divas and superheros! They carry one of the largest selections of costumes I've seen online. From cute and cuddly, spooky and gothic and everything in between. When you combine our superior online convenience and customer service with our prices and product selection, there's no reason to buy costumes or accessories anywhere else! So come plan your next celebration with the company that knows how to make your celebration always an exciting adventure - HalloweenAdventure.com! A special thanks to Halloween Adventures for this great review opportunity! 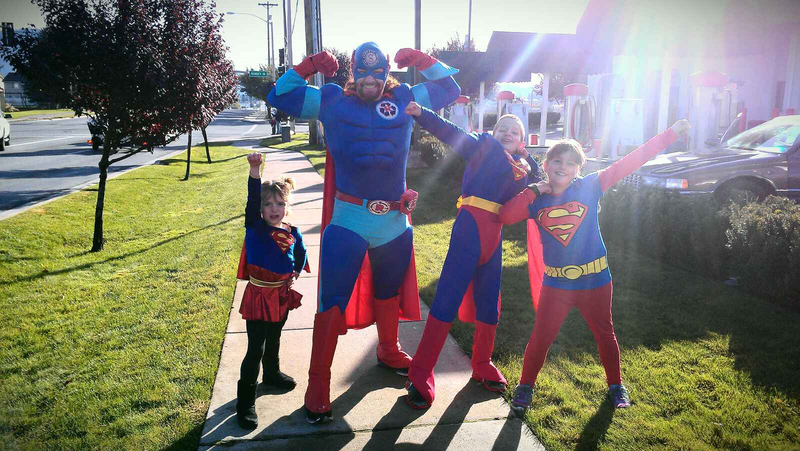 Your kids are "super" adorable!